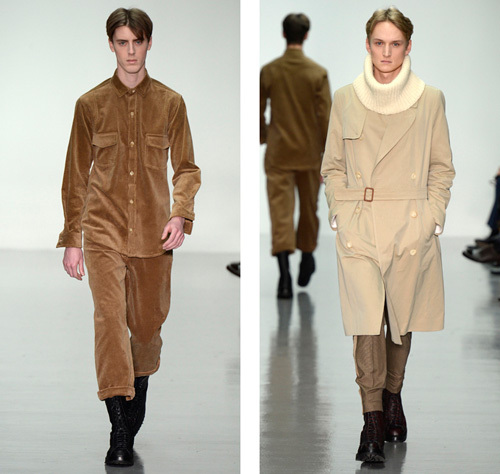 Lou Dalton has established herself as a starlet of British Menswear, generating a fever of excitement amongst those influential to showcasing British fashion talent. This support to date has manifested itself through awards from Fashion East, and more recently through the BFC NEW GEN MAN with presentations at London & Paris Fashion Week. 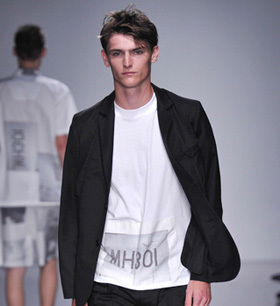 Hailed as the star of this year's MAN, she is the rising star amongst British Menswear designers. Lou Dalton's signature aesthetic showcases contemporary classicism and refined tailoring that has been defined by her working-class roots and her stylish Teddy Boy father. She has the ability to develop exceptionally well crafted garments that are both considered & thought provoking. Lou Dalton's career development began back in her home county of Shropshire when she left school at 16 to take up an apprenticeship in bespoke tailoring and pattern cutting. A desire to play a more creative role led on to further studies accumulating in a Master's Degree in Menswear from the Royal College of Art in 1998. On graduation Lou moved to Italy and worked as a design consultant, a job she would remain in on her return to London, with her clients including the likes of Hamish Morrow and Stone Island. 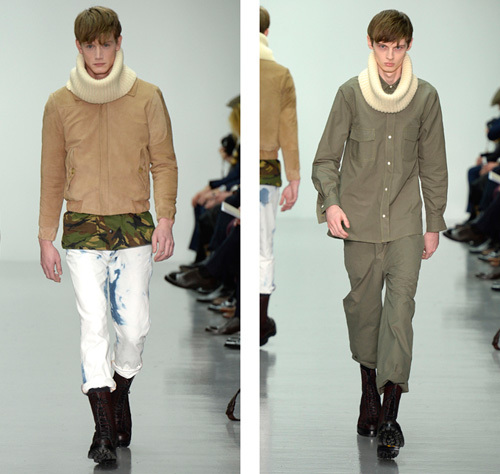 The demand for Lou Dalton is rapidly increasing with Liberty and Opening Ceremony now stocking the label. Stephen Ayres, Liberty Menswear Buying Manager, talking about AW11, has even quoted "Liberty is really excited to receive our first delivery of Lou Dalton. Lou's simple approach to design combined with her keen eye for detail make this super chic AW11 collection perfect for the Liberty customer". With ever broadening popularity each collection has been stocked widely across the UK, Europe and Japan.